04.06.17 Another chess great has passed. We are saddened to report the death of Arthur Bisquier. 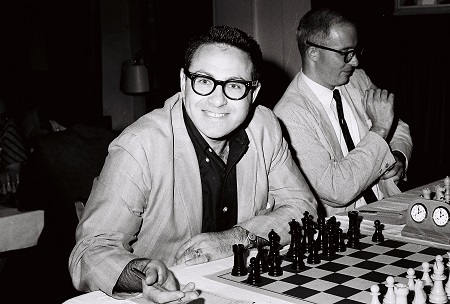 Bisguier was U.S. Champion in 1954, three years before earning the title of Grandmaster. He defeated some of the game's greatest players including Bobby Fischer, Boris Spassky, Sammy Reshevsky, Svetozar Gligoric, and Paul Keres. Among his most prominent tournament victories was the 1973 Lone Pine International in California. Our condolences to his family and friends. Thanks to Darrell Salibury for contributing to this report.